Whether we’re talking about cooking vegan dishes for others or producing new vegan alternatives, there are always many criteria we could take into account when deciding what we’re going to serve others. 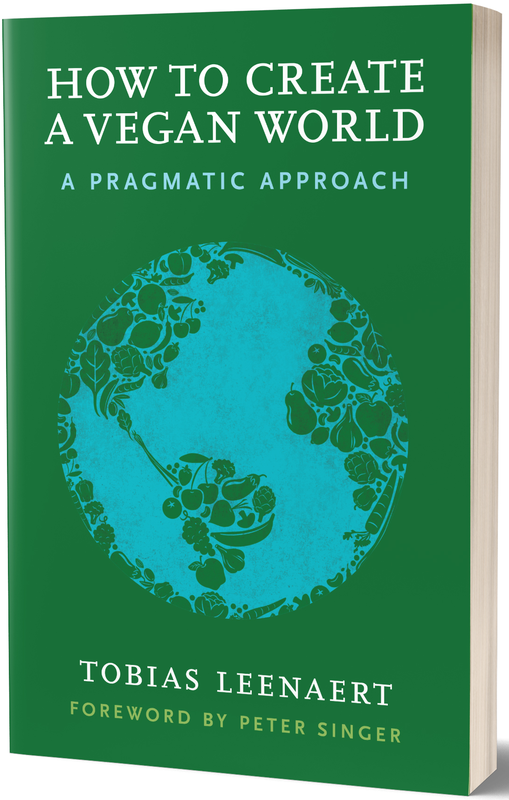 We could keep in mind all kinds of environmental factors and make sure that our meal or product is entirely sustainable, organic, and so on. We can make sure all ingredients are from fair trade. We can pay a lot of attention to the health aspects, like the fat or sugar content. The list goes on. But if you had to name just one aspect of food (apart from it being vegan) that we should take into account: what would it be? Think about it: if a dish or product is healthy and sustainable and fair etc, but it tastes like crap, most people will not ever order or make it again. If, on the other hand, that same dish or product is tasty but doesn’t meet some, most or all of the other criteria, many people will have it again. Many people come to vegan food with a lot of prejudices, the most important of which being that it won’t be as tasty as what they are used to. So that is the idea that should be countered in the first place. Personally, I’m prepared to sacrifice some of the other criteria if necessary. I may use lots of salt, sugar or fat, or sometimes even use ingredients that I know are not environmentally the best choices. I want to get people over the treshold they are wary to cross. I want to take away their misconceptions about vegan food. The best way I can think of how to do that, is to offer them something that tastes great. Taste should be the number one priority for anyone who wants to get anyone to eat differently. After having tasted how great vegan food can be, in many cases at least part of people’s defensiveness will crumble. 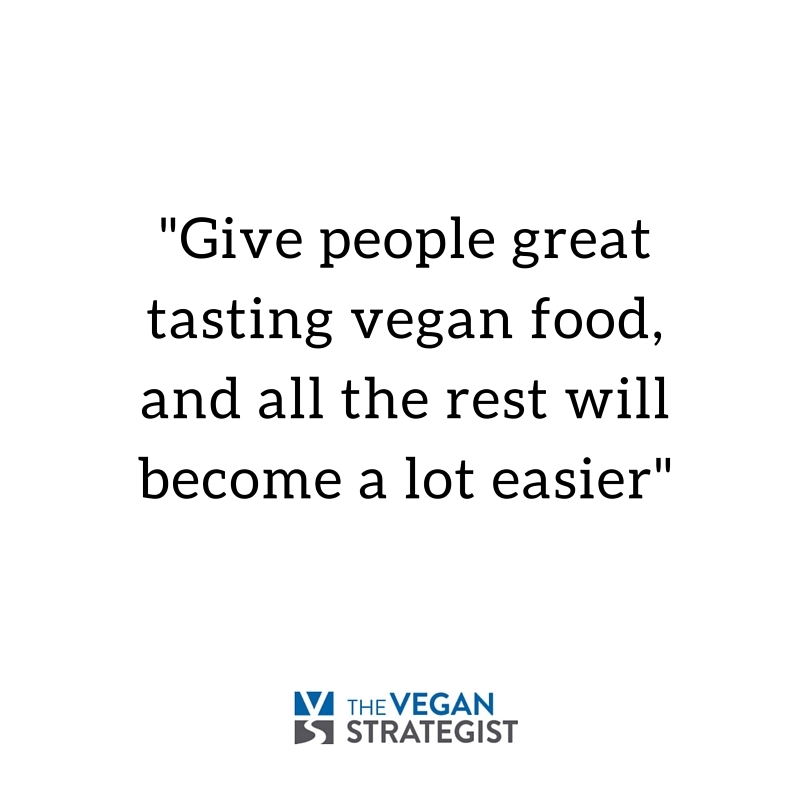 Give people great tasting vegan food, and all the rest will become a lot easier. That’s what works best for vast numbers of people. For many of them though, numbers 2 and 3 are reversed. Taste is important……but nutrition is important for an emerging plant-based food culture as well. Not a big issue for a non-vegan trying a single vegan meal but people tend to model their diet on what they’ve experienced so if the foods being promoted don’t amount to a balanced diet they will fail even if the food tastes good. Absolutely true. People will stay with what brings pleasure. That’s just built into our DNA.